I am on a roll with these link-ups! Today's link-up is with Lauren at From My Grey Desk. FMGD has been one of my favorites since the fall. Check her out! 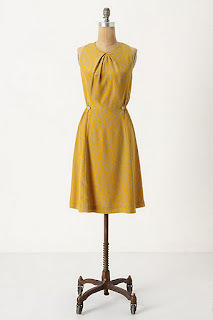 #1: I got my first Anthropologie dress! The color. The cut. The sale price. YES! The only thing that would make this dress better is if I could wear it as a bridesmaid for one of my best friend's wedding. Oh, wait. That's exactly what I'm doing in April in San Diego! 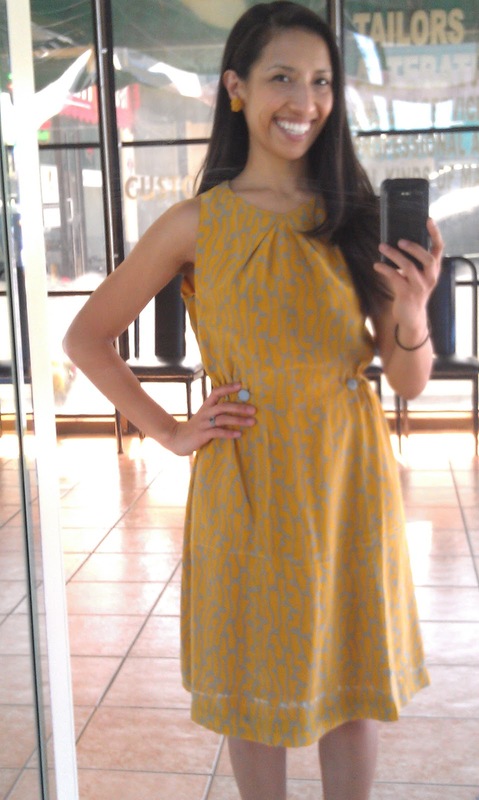 I took this baby to my tailor over the weekend! 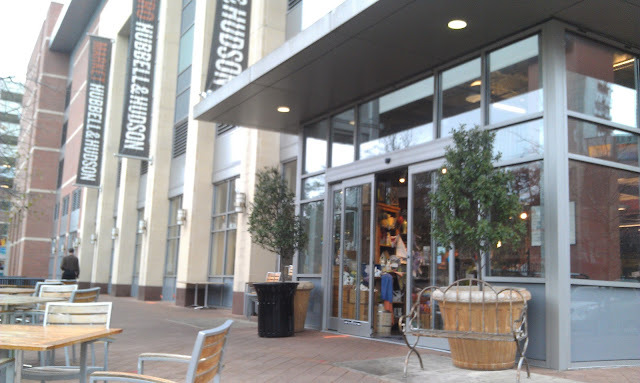 #2: Here is the automatic sliding door that I did not get up close & personal with this week. Success! #3: I don't know if you've seen the Wishlist item I've had listed on my left sidebar this week, but it is the Manduka PROlite yoga mat. And I got it on Wednesday! 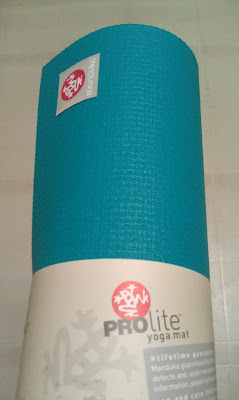 My yoga practice was so much better for it last night, and the color just makes me happy. #4: I got a letter telling me that my student loan interest rate was dropped 1%! For anyone who has a mortgage, car payment or student loan, you know this is a big deal and a great surprise. Making early payments literally paid off! #5: And of course... *drum roll, please*... Trial By Sapphire was born on Monday! 'Twas a wonderful week, and I've already "met" some wonderful women for sponsorships! I wish you all an excellent weekend! Cute dress! Isn't the sale rack at Anthropologie the best?! That dress is so cute! I love it! Just started following your cute blog! So glad that you found my blog & we've been able to connect...you're awesome! I'm so glad you popped by and found my blog! 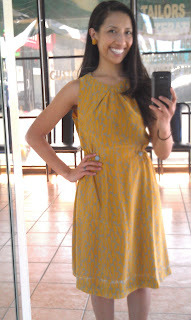 I am loving that yellow dress!! Just started following! Love the yoga mat! I LOVE the dress! you look amazing in it! great colour! and thanks for the shootout! I love meeting people through blogging!! Lindsay I love that yellow dress from Anthro! I work at the Anthropologie here in Nashville and it is so hard to not buy everything I see :) Love your blog! Great blog site! Something for everyone! I'm now a follower.